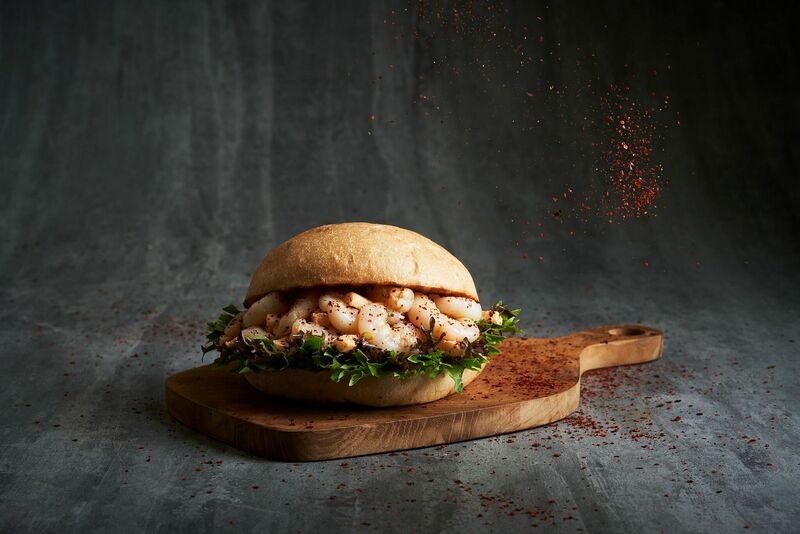 Seoul in a Sandwich is one of the latest ventures by homegrown Singapore F&B group, Seoul Garden Group. The kiosk sits in the basement of the newly-revamped Century Square, and is where you can get the perfect grab-and-go lunch. 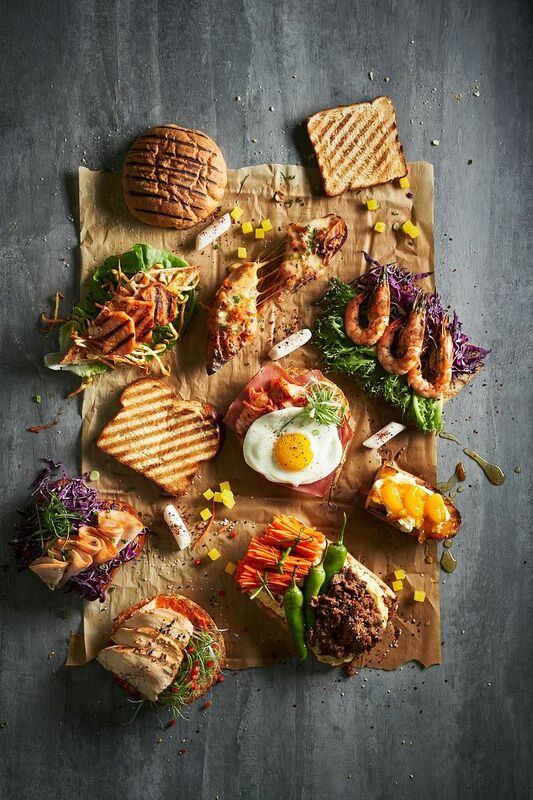 Seoul in a Sandwich promises "soul in every bite" in their East-meets-West creations where European breads encounter Korean fillings. For a sandwich kiosk, I've to say that Seoul in a Sandwich has quite an extensive menu. What caught my eye was the Army Stew-ich($8.50). We all know that Army Stew is made up of an army of ingredients. How, then, does one fit them into a sandwich? 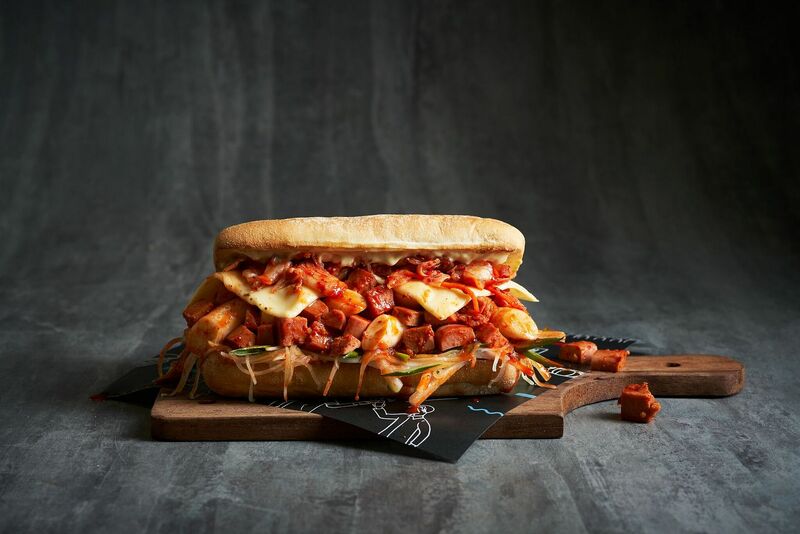 Packed with luncheon meat, tteokbokki, mozzarella cheese, cheddar, and daikon slaw with gochujang dressing, the ciabatta sandwich is not the easiest sandwich to bite into, as the fillings might fall out but every mouthful is quite satisfying, especially when there's a good mix of textures. My favourite of the lot has to be the Kimchi Prawn Cocktail Focaccia($7.50). Kimchi is actually one of the, if not the, only leafy vegetable that I eat. I love sour stuff so kimchi really appeals to me, and whets my appetite. The kimchi prawn cocktail carries a great balance of spiciness and sourness, and the inclusion of Asian pears added a subtle sweetness that's refreshing. While I had a little trouble with the sandwich, as the prawns fell on my white dress, it was worth the battle because this sub was simply a joy to tuck into. The Bulgogi Cheesesteak($8.50) will please those craving for a hearty and cheesy sandwich. 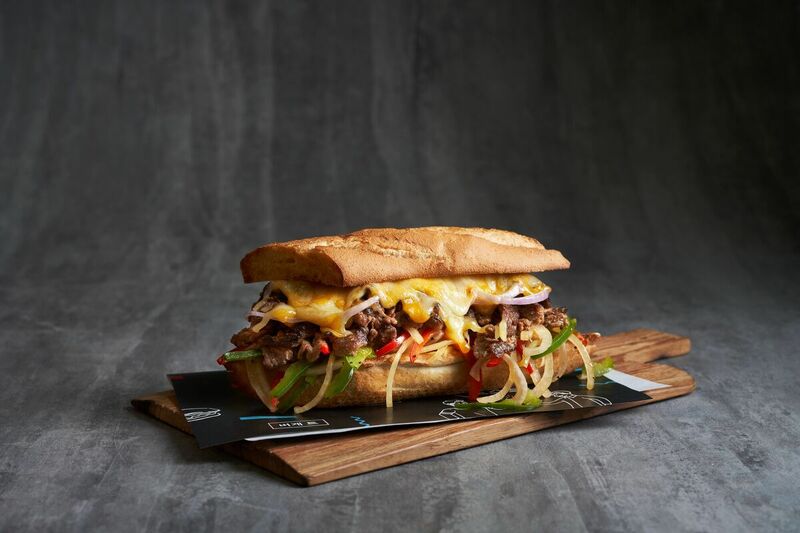 Loaded with sauteed onions and peppers, grilled bulgogi beef and a cheese mix, the toasted baguette. The sandwich is pretty filling so if you're not a big eater, or you're just looking for a quick snack, you might like to share this with a friend. You just can't go wrong with tender beef and melted cheese! Other highlights include Kimchi Grilled Cheese ($5.50) and Citron Cheese & Pear ($4.50).